Over the past two decades, Peter and Lucy have bonded with the North Shore and Cape Ann community in many ways, not the least of which has been through their generous philanthropic involvement. In 2001, the couple established the Robbins Nest Foundation, with the overarching mission of doing good wherever they could. After a son suffered a traumatic brain injury, Peter and Lucy spearheaded a successful campaign that built Old Farm Rockport, a residence for people recovering from brain injuries that opened in 2012. Additionally, Beverly Hospital and Addison Gilbert Hospital have always been high on the couple’s list of community causes. The Robbinses recognize the intangible benefits of the personalized attention that is possible in community-based care. 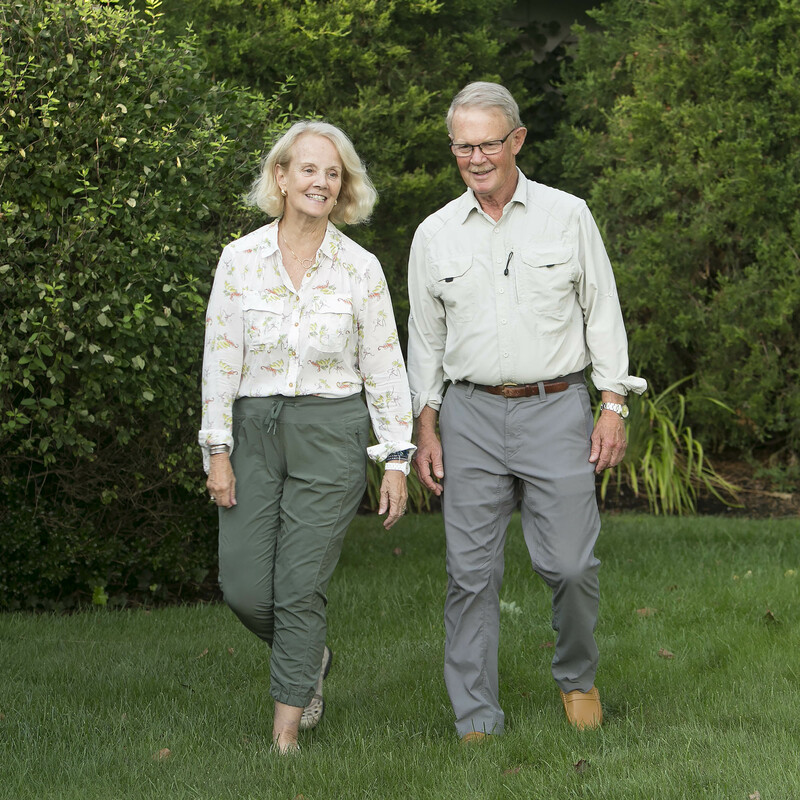 Through their foundation, Peter and Lucy have helped to ensure that families on the North Shore and Cape Ann have access to the best health care possible. In August, the foundation donated $50,000 to help Beverly Hospital bring to life its exciting plans for a state-of-the-art maternity pavilion. This gift is only the latest in a long series of gifts going back for years. They offered critical support when Beverly Hospital expanded its Operating Suite earlier this decade and when Addison Gilbert Hospital enhanced its regionally revered Senior Adult Unit. Through a gift to the Frederick Thorne Nursing Scholarship Fund, they honored the memory of their good friend and fellow loyal donor while helping Beverly Hospital nurses pursue further education. The couple also supported Lahey’s Breast Health Centers in Danvers and Beverly, which offer 3D mammography. “Anytime we have the opportunity to support early detection technologies for cancer, I’m all for it,” said Lucy. Peter and Lucy’s original commitment to their community hospitals was embedded in the mission of the Robbins Nest Foundation — to do good wherever they could. Year after year, their dedication to community health care for North Shore and Cape Ann families has made a critical difference. They see it as simply doing the right thing. To learn more about Beverly Hospital’s plans for the future, please email Rebecca Imperiali, vice president for philanthropy, or call 978.236.1624.